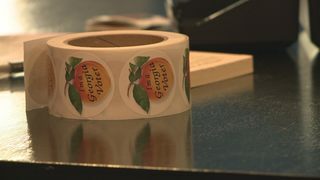 In a response, Kemp says Georgia has never used data from the Crosscheck Program to conduct list maintenance in this state. ATLANTA -- According to a release, members of the SCLC, Rainbow-PUSH Coalition, the Georgia Coalition for the People's Agenda, and the New Georgia Project are planning to join with others to file a federal lawsuit against Georgia's Secretary of State Brian Kemp. Kemp's office is accused of using a racially-biased methodology for removing as many as 700,000 legitimate voters from the state's voter rolls over the past two years. The suit claims that the secretary of state's office has not sent notice of the removal to voters. The group says that at a Tuesday news conference they will publish a database containing each of the names of the voters removed since 2017, so that those voters may re-register prior to the state's October 9 deadline. The group says the lawsuit was initiated by journalist Greg Palast as part of his research for Rolling Stone magazine. Other similar federal suits will be filed against other state officials around the nation in conjunction with the Georgia suit. They claim that during his research, Palast uncovered a so-called 'purge list' from what is called the 'Crosscheck Program' allegedly supplied to the secretary of state's office by Kris Kobach, Kansas Secretary of State. Some critics have said Kobach has worked to implement some of the most stringent voter ID laws in the United States, and has worked to make voting much more difficult for minorities. Tuesday afternoon, Kemp released a statement refuting the research behind the lawsuit. He insisted that no voters had been removed from the state's rolls as a result of any sort of 'purge list,' as claimed by Palast. "This threatened lawsuit has no merit. To be crystal clear, Georgia has never used data from the Crosscheck Program to conduct list maintenance in any capacity," Kemp said in his statement. "Zero voters have been removed from the rolls based on Crosscheck data in this state. Greg Palast is completely blind to this indisputable fact in his pursuit of a sensationalist headline. Real journalists have already reported that Georgia does not use this data for list maintenance. Frankly, Mr. Palast should be embarrassed, and any credibility that he had left is now completely destroyed." In addition to his position as Georgia's Secretary of State, Kemp is the Republican nominee for governor and is running against Democrat Stacey Abrams in the November 6 general election. How can you find out if you are registered to vote? You can determine if you are registered to vote in Georgia by checking the Secretary of State's My Voter Page. By entering your first initial, last name, county of residence and date of birth on that page, you can determine if you are registered to vote in Georgia. If so, you will find your registration information, the name and address of your precinct and a link to the early voting location for your county. The page will also list your US Congressional District, your Georgia Senate District and Georgia House District, with links to each of those persons' official web pages. Links to a full list of qualified candidates in the upcoming election (along with the past several elections) are also provided. If you are not registered to vote, you will be provided with a link to register to vote. The deadline to register to vote in the November General Election is Tuesday, October 9, 2018.